IM John Watson, with his video course, helps us build a strong and efficient repertoire of openings, for White and for Black. In this new series John teaches us how to use the Trompovsky Attack. After 1.d4 Nf6, instead of playing the very common moves 2.c4 or 2.Nf3, White plays 2.Bg5, sidestepping the endless amount of opening theory that has been written about the Indian Defences, such as the Queen's Indian, the Nimzo-Indian, the King's Indian, as well as the Grunfeld. Study with John the interesting Tromposvky attack; make it part of your opening repertoire and use it as a weapon when you play your games! 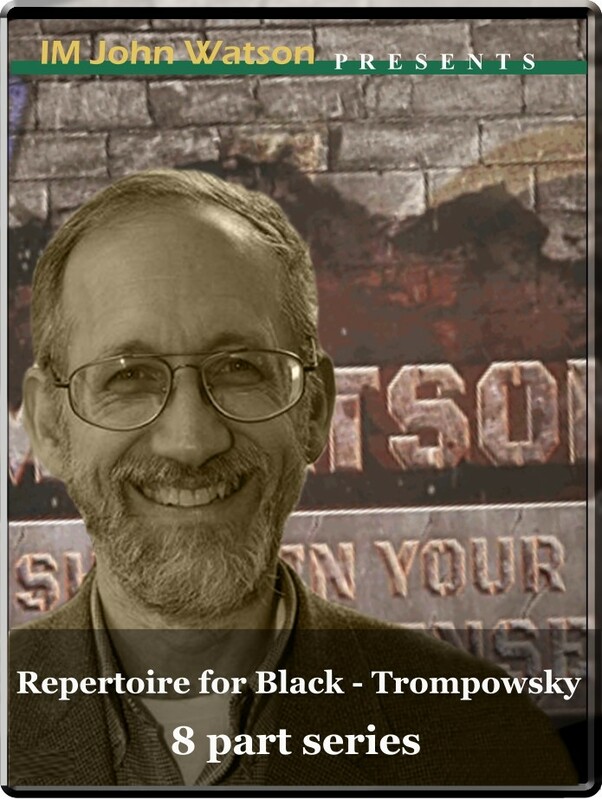 Repertoire for White - Trompowsky Attack (8 part series) IM John Watson, with his video course, helps us build a strong and efficient repertoire of openings, for White and for Black. In this new series John teaches us how to use the Trompovsky Attack. After 1.d4 Nf6, instead of playing the very common moves 2.c4 or 2.Nf3, White plays 2.Bg5, sidestepping the endless amount of opening theory that has been written about the Indian Defences, such as the Queen's Indian, the Nimzo-Indian, the King's Indian, as well as the Grunfeld. Study with John the interesting Tromposvky attack; make it part of your opening repertoire and use it as a weapon when you play your games!